Since spring is almost here, many people are ordering chicks. But for first-timers are quite confused as to all the different terminology used and such. I found some great videos for you all to watch that will hopefully help dispel questions and concerns first-timers may have. 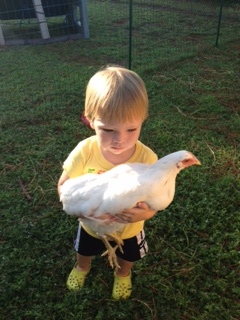 And as a sweet bonus today, a picture of subscriber Ted Johnson’s grandson Micah with one of their hens.